This graph shows the most commonly appearing Shakespeare characters in the collection of postcards. 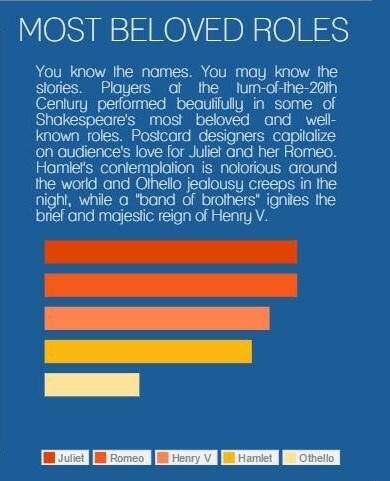 These are mostly consistent with the most popular plays, with one exception – Henry V appears more than Hamlet. The fifth most common character, shown here, is Othello.